The Nikon D7000 features a high-speed 39-point autofocus system and a continuous 6 photo-per-second shot speed, ideal for action photography. The Nikon D7000 is the next generation of the immensely popular Nikon D90 — the first digital SLR camera to include a video capture mode. 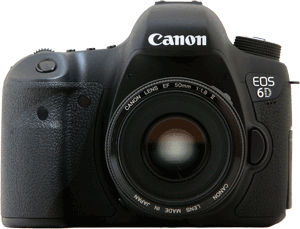 The D7000 improves upon the D90 in a variety of different ways: better video, better autofocus and more megapixels. Like the D90, this is not a camera for beginners, but is aimed instead at the market of non-professional photography enthusiasts, or "pro-sumers" for short. Yes, you CAN use it in full auto mode, but that sort of defeats the purpose of a camera like this (and you pay a LOT for features and functionality that won't get used). Part of the power of the Nikon D7000 comes from the unique ways in which you can customize its settings, allowing you quick access to a variety of photographic styles. People who know their way around a digital camera — and anyone who wants to make professional-looking movies — should find a lot to like in the Nikon D7000. 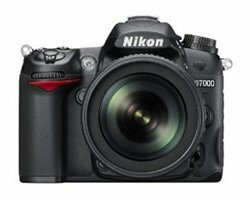 As a testament to the Nikon D7000's superior performance, it has been selected as the Best Advanced DSLR camera for the 2011 TIPA Awards as well as for the 2011-2012 EISA Awards.